They say March comes in like a lion, and that is certainly true for us this year! The month kicked off with an interview on the Michael DelGiorno show. Michael is a popular radio host and will be making his film debut as the Military Chaplain in Summer of ’67. If you missed the interview, you can listen online at www.997wtn.com/michael-delgiorno and click on 3/2/17 10:00 hour. This week we’re honored to have Providence included among the 32 top movies competing for the coveted Christian Movie March Madness title! Each week we get a chance to share about the movie all over again, and hopefully continue our way through the ranks to the final round. 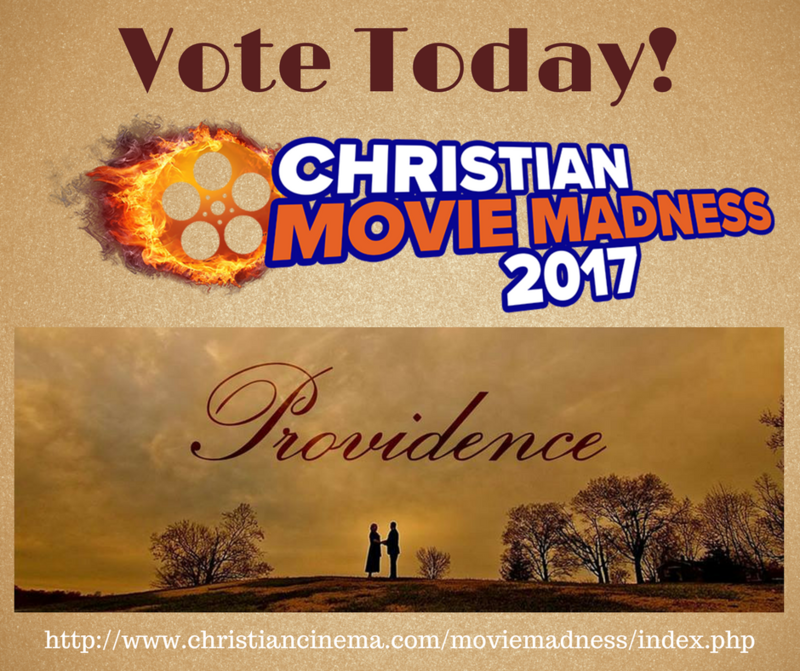 To vote for Providence, go to www.christiancinema.com/moviemadness/index . Vote/click through the choices until you get to Providence. 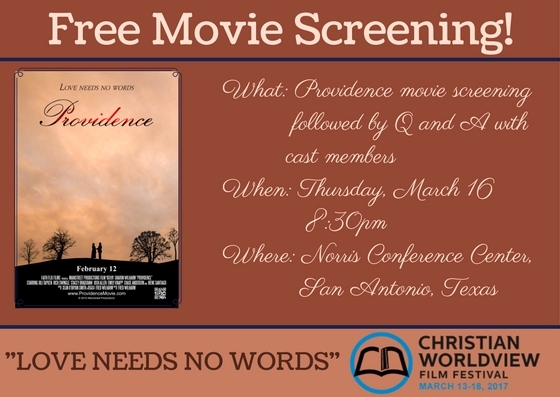 Next week Providence ends its film festival run at the Christian Worldview Film Festival in San Antonio, Texas. The movie will be screening each day of the festival and cast members and/or filmmakers will be doing a Q and A immediately following each screening. Thursday’s night screening is free! Fred and I will be there Saturday, so if you’re going to be at the festival, be sure to look for us! Throughout all the final promotion of Providence, we’re hard at work getting ready to start filming Summer of ’67 in May. Key casting is complete and we’re busily taking care of all the logistical details like scheduling and location scouting, plus acquiring costumes, props, and furniture to be used in the movie. To join us on our journey, follow us on Facebook www.facebook.com/summerof67themovie or Twitter www.twitter.com/summerof671.